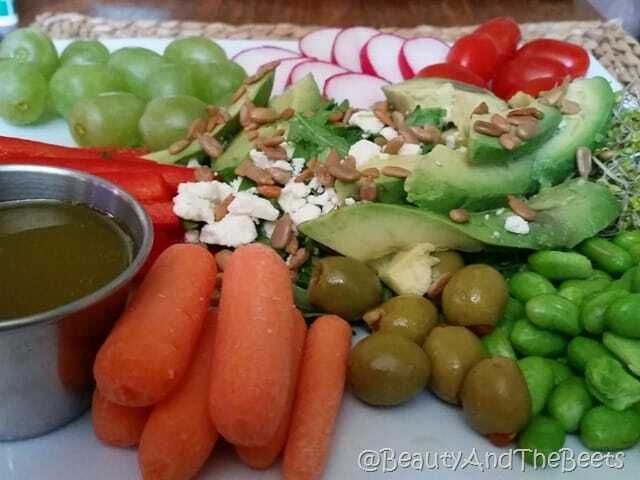 I’ve often been intrigued by the idea of a raw foods diet. 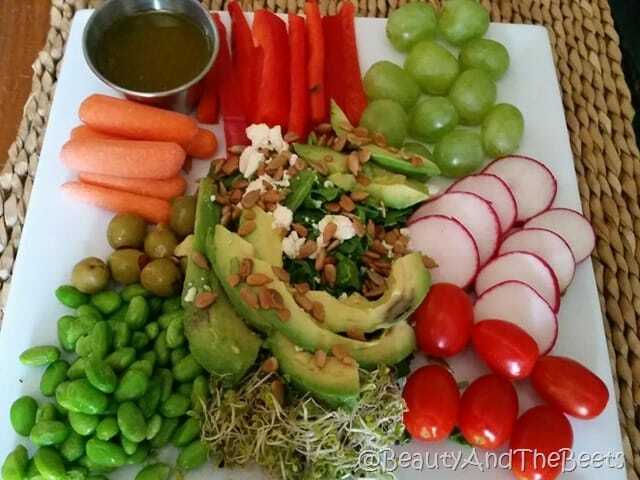 However, unless you plan your meals well in advance, following an all raw-foods diet can be rather difficult and impractical. 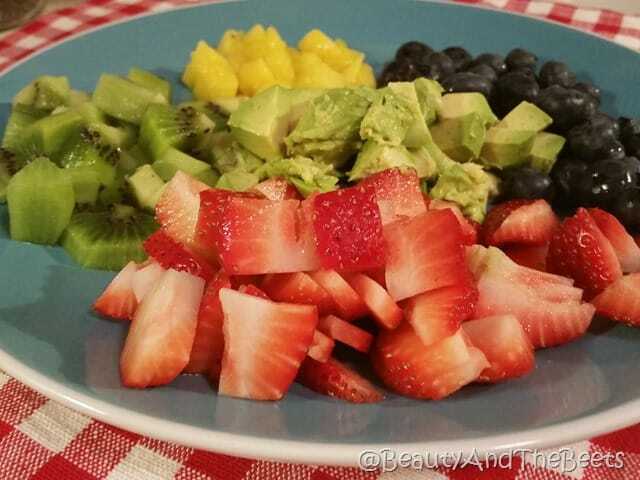 But sometimes you can find it easy to consume mostly all raw foods for a day or even just for a meal. Sometimes we do it when we are just trying to use up veggies and fruits we have in our fridge. 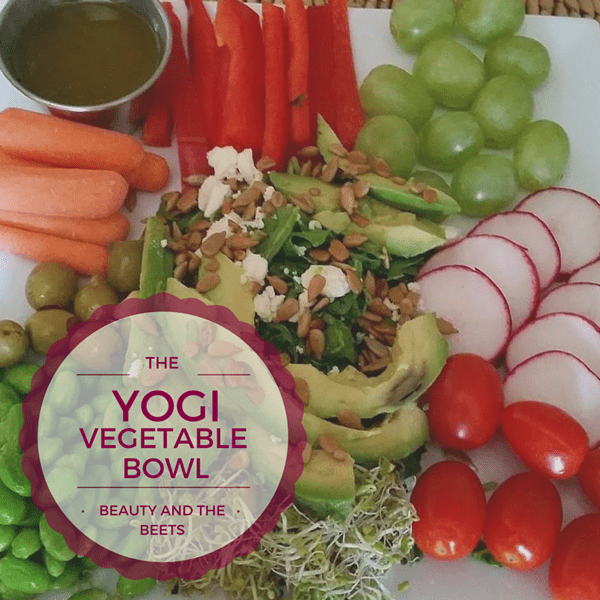 Enter the Vegetable Yogi Bowl. The Yogi Bowl is more of a concept- a miscellaneous plate of raw and/or cooked veggies and fruit. I actually came across this article about a quinoa yogi bowl in Shape magazine recently and I just loved the idea of mixing some raw veggies and fruits with a few steamed vegetables. Especially on nights when you just don’t feel like cooking. Like on days when we spent the afternoon pigging out at some food festival or at lunch with friends, just saying. I just pulled out all the raw veggies I still had leftover from our last shopping trip and found some shelled edamame in the freezer. 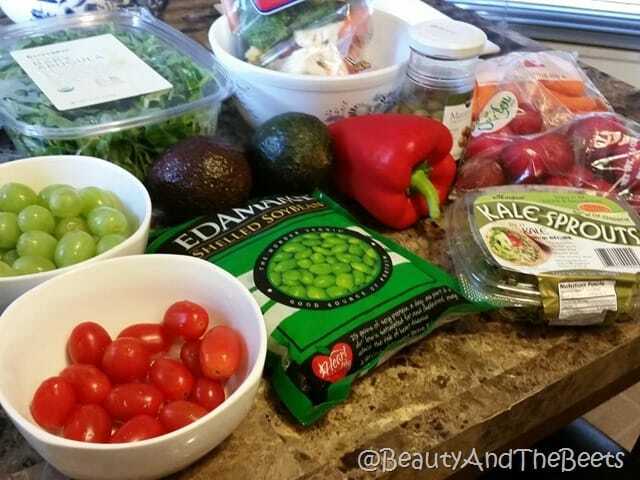 I spent 10 minutes cutting everything up, steaming the edamame and mixing up a dijon vinaigrette. Viola…..I arranged everything nicely on a platter and called it dinner. Add all ingredients to a jar. Close the lid and shake until ingredients are well blended. It amazes me sometimes when I tell people this is something I will eat for an actual meal and I am asked where my entree is. Why do people think a meal has to have a so-called “entree”? 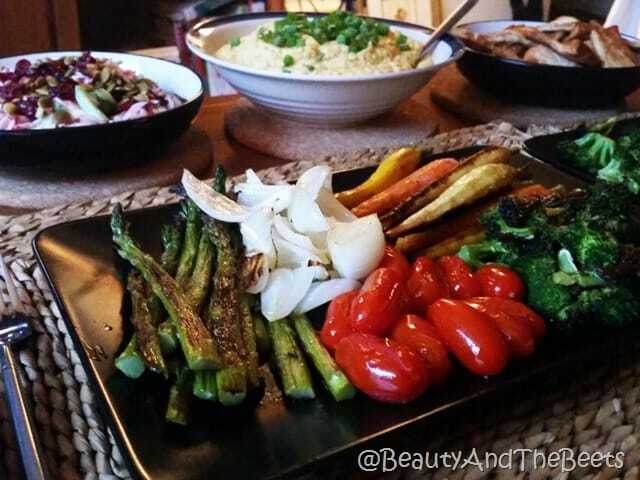 A plate full of veggies easily qualifies for a satisfying meal. 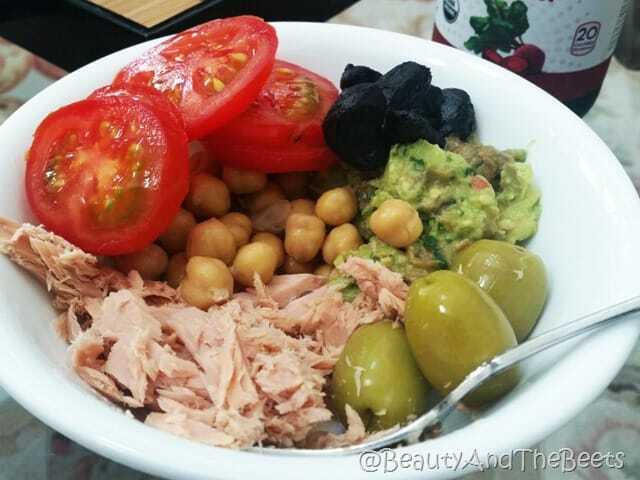 You can add beans, chickpeas, hard boiled eggs or tuna for protein. The Yogi Bowl is completely versatile. 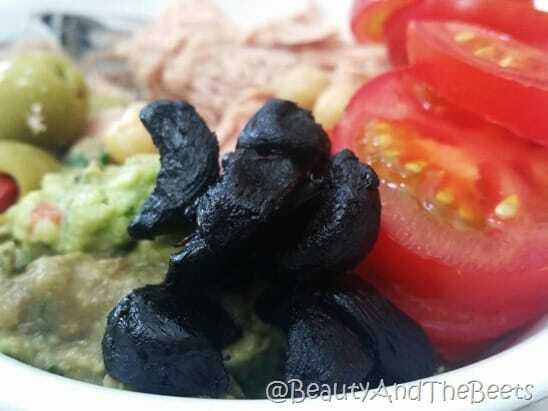 There is no way to prepare it wrong as it is just putting raw and/or partially cooked veggies on a plate. Sometimes I add tuna and leftover guacamole. And recently I was introduced to black garlic by my Mom. Black garlic? It’s sweet, chewy and very mild. Then there are days when steamed or roasted veggies are preferred over raw vegetables. I call that a Yogi Bowl too. And then what about a Breakfast Yogi Bowl? Why not? There are 1000+ combinations to use here. This is just a list of what I used. I was filled up the rest of the night and frankly, it was fun having so many choices on the plate. What to take a bite of next? What would you use in your Yogi Bowl?